Bergamo town is divided into two distinct areas – Bergamo Bassa (lower town) and Bergamo Alta (the hilltop medieval upper town) - both offering their own charms. 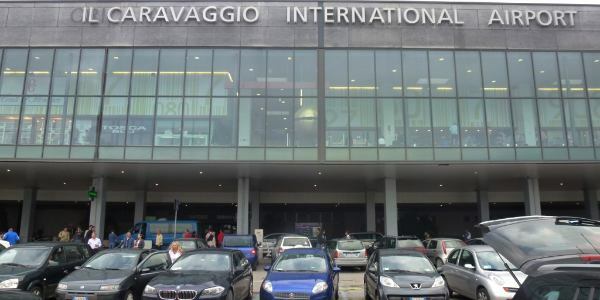 Bergamo Airport to the city of Milan is approximately 50 km and takes about 50 minutes on the A4 / E64. Milano one of the most popular cities in the world, famed for its Venetian style architecture and local art. 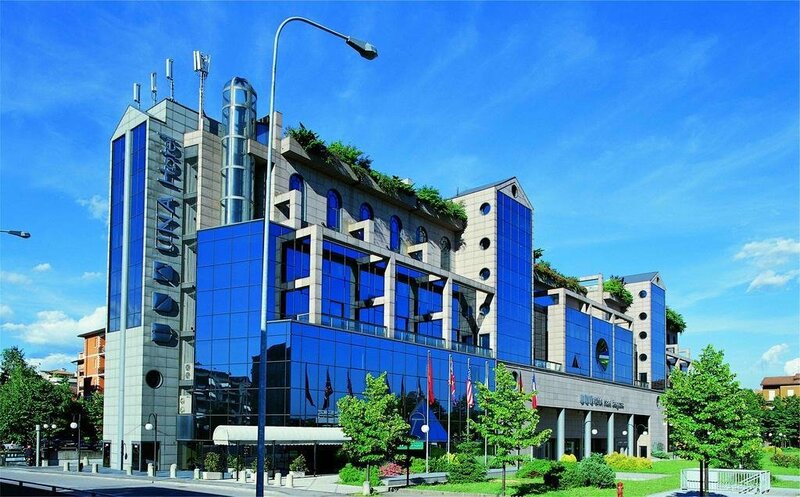 Although Milan is serviced by its own airport (Orio al Serio), its close proximity to to Bergamo make a peaceful, hassle free destination for anyone choosing to holiday in Milan with access to a rental car. 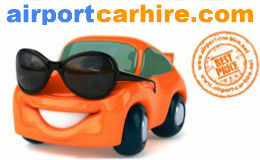 Book with Bergamo Airport Car Hire Network for all your car rental requirements. 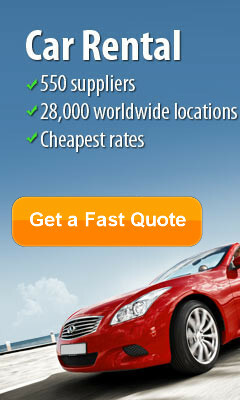 Take this opportunity to get the best car rental deals in Bergamo... CHEAPER. Città dei Mille" or "City of the Thousand", these are the other ways as to referring to the city of Bergamo. Situated in Lombardy, Italy, the city is about 25 miles northeast of Milan and 19 miles from the lakes Como and Iseo, not to mention that the foothills of the Bergamo Alps begin immediately north of the town. This city preserved his historical sites very well, despite the destruction brought by the World War II and the urbanization. 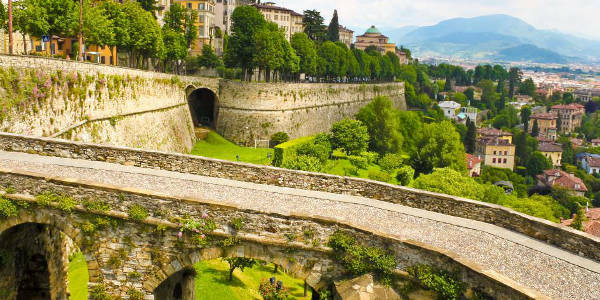 The old and the new of this world combine into one holiday destination, and that is the city of Bergamo. You must not miss the Upper City of Bergamo (Citta Alta)! Just rent a car and drive towards it, you will be surprised not only by the amazing views, but to get the chance of seeing the medieval town around which modern city of Bergamo has expanded is unique. As this is the main touristic area here, combination of old buildings and the restaurants, shops and cafes will amaze you. If you get tired of visiting the old city, you can always go for a drive to the city wall, or the Cinta Muraria, how the locals call them. Here you will have the opportunity to see the most beautiful sights of the Lower City. Just take your rental car and drive to the Citta Alta, since the most important landmarks of Bergamo, like the Basilica di Santa Maria Maggiore, Duomo di Bergamo, and Cappella Colleoni are located here. Since the lake Como is so close to Bergamo, driving there seems like the best idea of spending an afternoon. When driving there, it is recommended to take the time to visit the cute little city of Como, that is right off the lake. This like is one of the biggest attractions in the area, being able to offer you the greatest sightseeing possible. 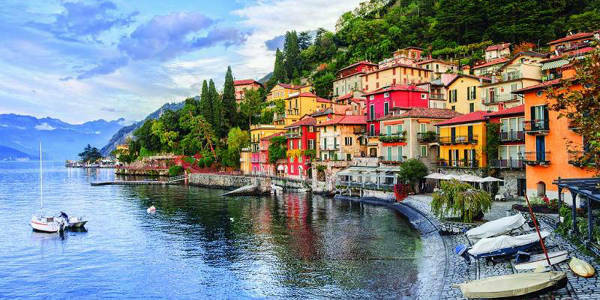 Once Como is explored, you can take a 40 minutes drive to Bellagio, one of the first internationally-known tourist resorts in Italy, often called "The Pearl of the Lake". The possibilities here are endless, you can either drive to the southern leg of Como, and then back on the other side of the leg, or choose to take your car on the ferry from Bellagio to Varenna. Going further into exploring the not so famous, but historically rich sights of Italy can go on, since the lovely village of Bellano is about five minutes drive from Varenna. You will be amazed to by these surrounding, since the place is filled of Baroque architecture and some excellent restaurants along the way. 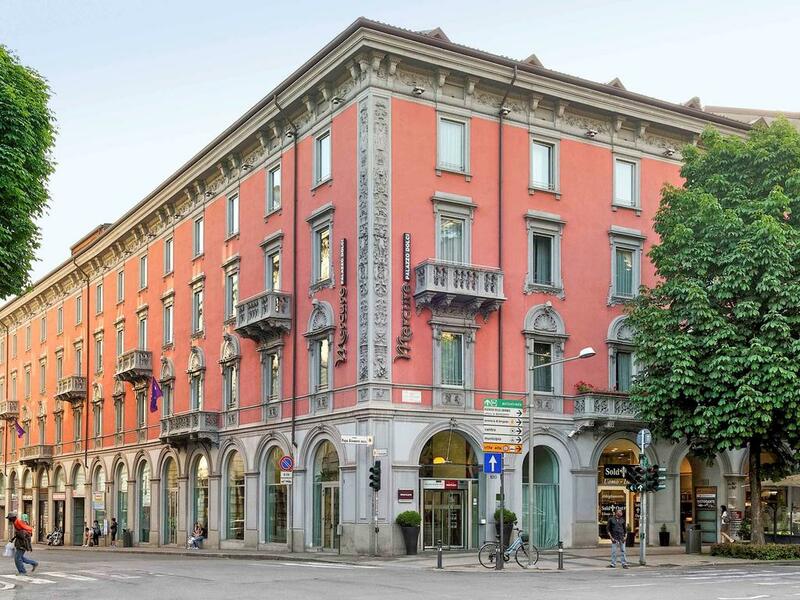 Of course, history is not for everyone, but since Bergamo is so close to Milan, why not take you rental car for a spin and do some shopping in one of the most fashionable cities in the world? 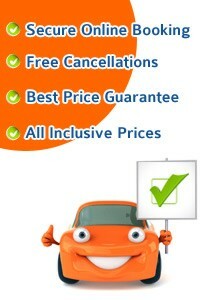 Book you rental car now! 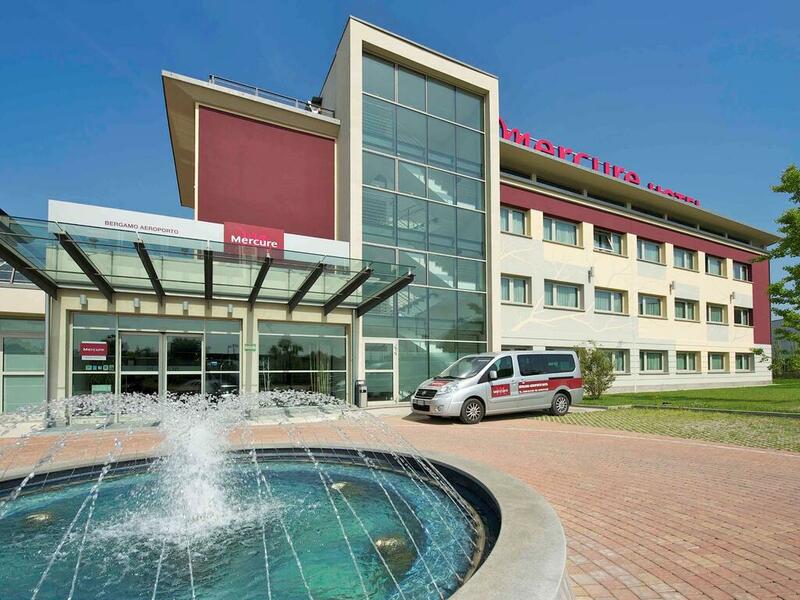 If you require hotel accommodation in Bergamo, please use the Hotels 365 to find the best Discount Hotel near Bergamo Airport or Bergamo City Centre. Up to 60% discount and secure online reservations available. 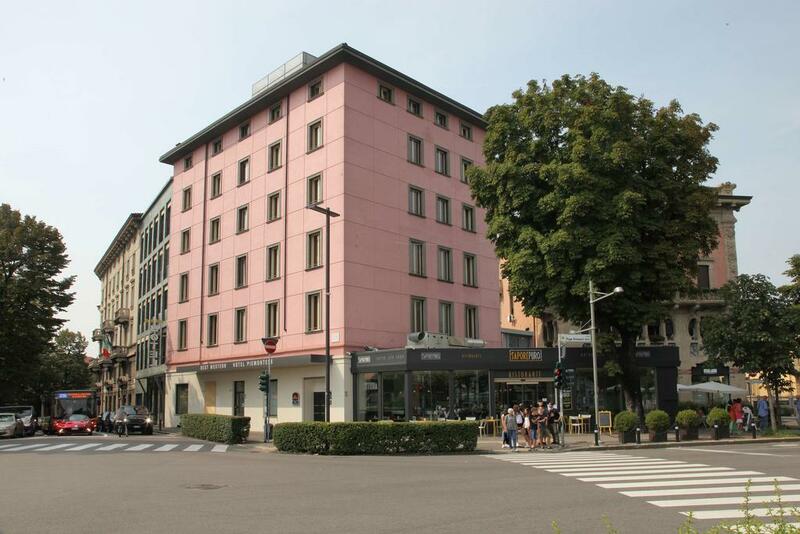 Hotel In Bergamo, Via San Lazzaro 4, 24122 Bergamo The Petronilla is a boutique hotel located in the heart of Bergamo's lower city, in the historic San Lazzaro area. 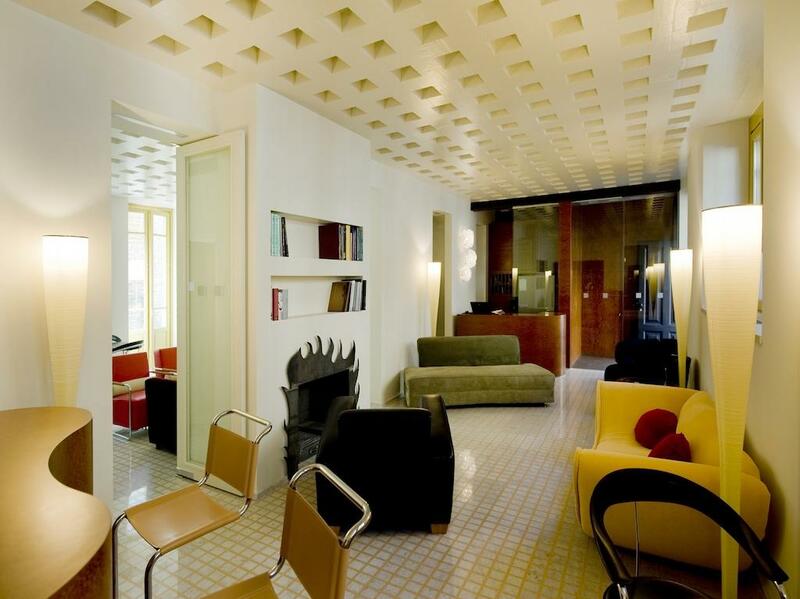 Each room is unique and features modern art and free Wi-Fi. Breakfast at this hotel is an extensive buffet of homemade foods, and is served outside on the courtyard in the summer months. On request, a dinner of Lombardy specialities is available. - Paul O'Sullivan / Galway. Car Hire desk were very busy and we had to wait 20 minutes to get our car. - Joan McKnight / Leeds.